The transponders communicate with the decoder by means of RF signals. 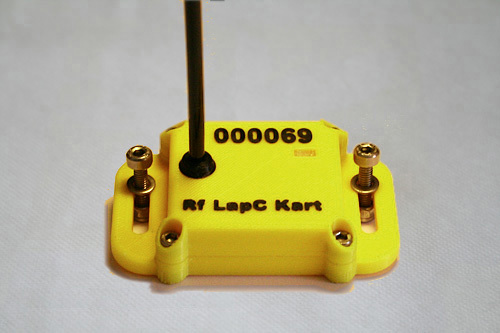 They are battery-powered (batteries integrated), so their mounting on the kart is quick and easy. The casings are robust and their antenna is flexible, elastic and unbreakable; it can be completely folded without any risk.